What We’ve Been Up To: Signs & Calls! Here at the Claremont Energy Challenge, we have been hard at work outreaching and engaging with the community. Since our launch at the Rose Hills Theatre in March, we have gathered over 300 pledges from the community to participate in the Challenge, either through reducing home energy use, joining in a home energy retrofit and solar energy workshop, having a in home consult about home energy or solar energy, assisting as a volunteer, posting a CEC sign, or giving a donation. Based on these pledges, we have been communicating with people through phone, email and in person to engage and support them in acting on their pledge. You can take the pledge here! Everyone can participate in the Challenge by simply reducing energy use at home. Check out our website for lots of great tips on how to save energy! For those interested in learning more about energy efficiency, we encourage them to attend one of our workshops. These workshops cover building science, home energy retrofits and solar energy, and they are led by our own Devon Hartman, head of CHERP. Check our calendar and sign up for our newsletter at the bottom of this page for information about upcoming workshops! In addition, we have been reaching out to people about assisting with our initiatives. One of our upcoming events is Walk the Town. We’re looking for volunteers for our Walk the Town initiative in July and August. Sign up for our events including workshops here! A major part of our efforts is following up with people about their interest in a home energy assessment or solar consult. We want to answer any questions people might have, ask them some preliminary questions about their house and help them move forward with getting an assessment by connecting them with one of our Best-in-Class contractors. Really briefly, during a home energy assessment, the contractor analyzes the interconnected energy systems of a house for comfort, energy efficiency, durability, health and safety. After the home energy assessment, the contractor provides a master plan with the most cost-effective retrofit options and homeowners can retrofit their house to the level that they can afford. Getting a home energy assessment through CHERP has its perks! CHERP has a wide breadth of knowledge and experience working with both homeowners and Best-In-Class contractors. We hope to build relationships between homeowners and Best-In-Class contractors, which are really important for energy efficiency and the green economy. In addition, CHERP has a $200 coupon for home energy assessments! This will cover most if not all of the cost of a home energy assessment if a homeowner ends up completing any of the recommended retrofits. If you are ready to save energy and improve the living quality of your house, sign up for a home energy assessment today! Another exciting thing we have been working on is getting CEC signs out to homeowners. Claremont residents who have taken the CEC pledge can get a CEC sign to show their participation in the Challenge and their commitment to energy efficiency! We are also getting new CHERP signs out to CHERPers who have already retrofitted their houses. Look out for the new CEC and CHERP signs popping up around Claremont! Lastly, the CEC is run by volunteers, and donations help us to make everything happen by covering events and materials. For those interested in donating to the Claremont Energy Challenge, please click the donate button at the bottom of the website! Thank you to everyone who has taken the time to chat with us on the phone, respond to our emails or participate in our initiatives and events. We really enjoy talking to everyone! 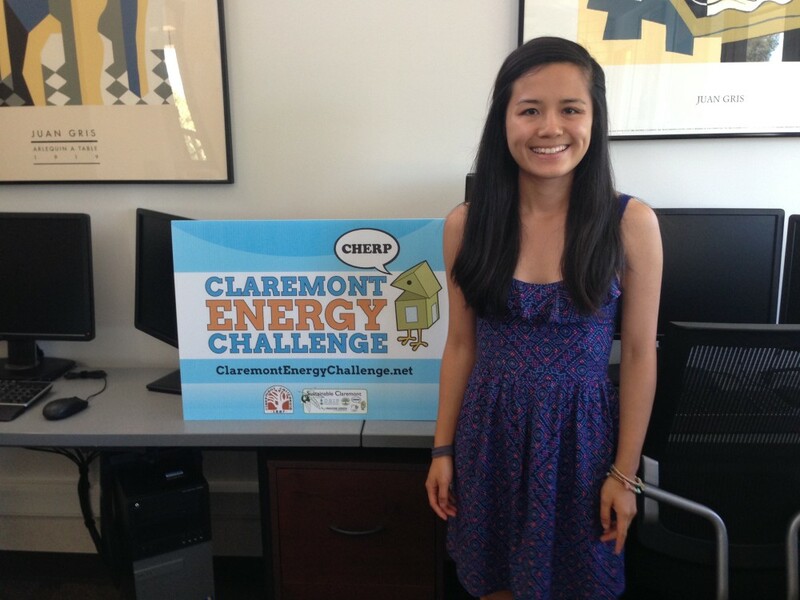 The Claremont Energy Challenge is a community effort and we greatly appreciate all the support and participation. Currently, we are working on engaging even more community members. If you have not heard from us yet, please take the pledge and check out the links above. For questions and more information, you can also contact us directly at cherp.claremont@gmail.com and 909-293-8098. We look forward to connecting with the whole community and seeing everyone at future events!